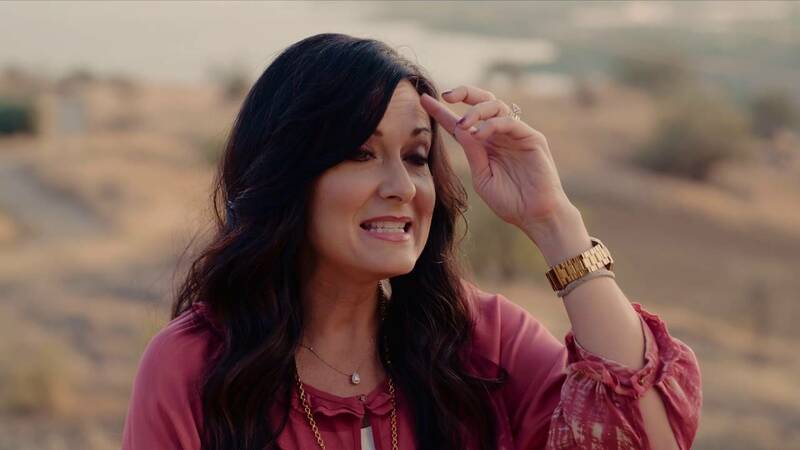 In this six-session video Bible study, Lysa TerKeurst digs deep into God’s Word to help you identify the roots of rejection, overcome the damage past hurts can inflict on your relationships today, and fully grasp what it looks like to live loved. With biblical depth, gut-honest vulnerability, and refreshing wit, Lysa will take you on a visual journey in the Holy Land to experience Scripture like you never have before. Each teaching is presented in a unique location that will speak to the most sacred parts of your soul. Lysa will take you by the hand as a trusted friend and help you and your group enter a place of powerful healing and new perspective. Uninvited is the beautiful reminder you need to believe you are destined for a love that can never be diminished, tarnished, shaken, or taken—a love that does not reject or uninvite. With Jesus you are always invited in. Lysa TerKeurst is the New York Times bestselling author of The Best Yes. She is president of Proverbs 31 Ministries and writes from her sticky farm table in North Carolina. She still has a crush on her husband, Art, who she’s been married to for twenty-four years. They deeply treasure every minute they can get with their four married kids and one teenager who still keeps them very young. Connect with her at www.LysaTerKeurst.com. “rejection never has the final say”. thank you so much…I so need to know this. This is beautiful…. I really needed this . This is a life changing Bible Study! Rejection steals the best of who I am by reminding me the worst that’s been said to me! Thank you for sharing your heart and your story. God bless! An amazing start to this study. When is the next one? Where did the other session videos go!? 😞 I was so excited to watch them. I’m considering this for a group bible study, does anyone know how long are the videos for each session? Thanks! Rejection has haunted me for so long, this lesson spoke to me all the way, I’m so thankful for the love of God! Thank you for posting these studies! I am grateful for encouragement in the p.m.
She is awesome with helping me to related scripture to my daily life. Love IT. Nice message. Good to hear!! When you share the gospel get ready for rejection! Get over it!! Why is surrender so hard? For me it is where I stumble every time. I want to deserve & earn all God’s blessings. She hit me right on the head with the things she was “doing” to feel loved. I am going to try…again. Pray for me please. I repent Father, my shameful pride has kept me from you for so long. Thank you for this lesson. I really needed it. wow… awesome, awesome, awesome… what a message on “living loved”… i needed to hear this… thank you for reminding us about how much God really and truly loves us. Could you please let me know what Bible you are holding throughout this video? I totally believe that things happen for a reason and that certain people or things are placed in your path for a reason. I have been struggling with this for the past few months… with low self esteem, being very self conscious and starting to get a little depressed about it. I have this huge fear of being rejected and I do not like it. I came across this bible study in my email and it was just like ZING… this was written for me. Thank you SO MUCH for sharing this bible study!! I am so excited about getting into it. I have the audible book, just waiting on my study guide. <3 Hope everyone is as blessed as I feel right now!! Can this study be downloaded session by session? My teenage daughter is leading a bible study with 4 other teenage girls and we want to know if they can pay and download each session as they move and study through the book.